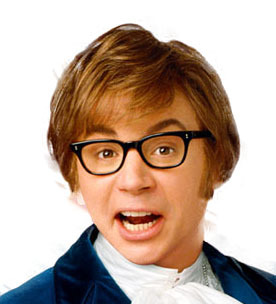 How weird is it that the last Austin Powers movie was released almost a decade ago? My mojo reference is dated. No, Austin Powers is still a fresh memory. Plus, he is perfect for this post. “Got My Mojo Working” is a fast-paced, haromica-driven blues song popularized by the great Muddy Waters. His 1957 version of the song became the one that most people cite when they think of this prime example of fast blues. There is no denying it. Muddy’s smooth croon and hedge-like slick black hair make the song slippery and a little dirty. What made Waters’ version so popular was its skilled use of call-and-response and James Cotton’s “I’m better than everyone here” harmonica. It is so proficient it’s scary. But when people say that Muddy Waters created this song, they are mistaken. While he did manipulate elements of this famous blues hit to fit his mold (and this definitely contributed to its popularity), the song was written by Preston Foster and first recorded by Ann Cole in 1956. Mojo should be shared by all. Now, here is to hoping that the Jets have their mojo working for their Thursday Night Matchup against the Broncos tonight! To sponsor this sentiment here are some more performers showing their mojo off. – I think I was at this show. George “Mojo” Buford, played with Muddy and got the nickname Mojo because of his supreme version of the song. Thanks for the fact. Didn’t know that. Cool stuff. Muddy’s band was great!